Ursus is generated by innovation. Quick release production was a new technology in 1967 and the two founders split the tasks, Sergio being responsible for the Business development of the company and Domenico was responsible for the actual production of products. Their relationship is very close and based on professionalism and trust, the same values shared by all Ursus employees. Ursus created an internal synergy from the beginning thanks to the presence of various techniques of metal working and precision machinery, soon they distinguished themselves on the national scene. The first big step came in 1966 when they patented the quick release and extended its use to the folding bikes. Through its ongoing developments and patents Ursus won over the bicycle industry, continuing to launch and produce products such as hubs, brakes and kickstands. In 1974 due to an increase in oil prices, resulted in a boom of the sales of bicycles: the demand grew and Ursus stated that with the increased productivity they would build a new production facility in 1978. During the 80’s with its bright colors and eclectic fashion came the birth of the MTB. Ursus responded to the new trend by patenting and creating a brake for the off road bike. With the new production facility Ursus decided to expand to other productive sectors. Their new building was equipped with an updated fleet of machinery which would allow them to forcefully enter into other industrial fields. In the early 90’s Ursus was already exporting to Europe high levels of mechanical components for leading automotive, appliance and plumbing businesses. Ursus competence in metal derives from the first generation of professionals who chose to work directly with the raw materials, thus having a better knowledge of how it can best be used, just like a chef has the knowledge when selecting and combining their ingredients to create a master dish. The ability to know the material with which you work is the legacy which has been handed down to the new generation of URSUS employees. In 1998 Ursus S.p.A. became a joint stock company owned by shareholders and with the dawning of the new millennium they gave birth to the most recent and ambitious Ursus project THE WHEEL. Since 2004 Ursus has worked with professional cycling teams and is involved and represented in many areas which support and promote activities and competitions especially emphasizing on the youth. Strength, sacrifice and perseverance are the values Ursus believes in, because its history is proof of success achieved through work, dedication and motivation. Like the Gladiator who sees in victory the meaning of life itself. All great stories start with a spark of passion moving an idea. Here’s how Ursus brand was born and has evolved through out the years. To those who are not familiar, the Bull is a symbol of invincible strength, sacrifice and selflessness. It is a figure linked to the cycle of life: its sacrifice represents fertility, a blaze of fire from the sun entering the wet earth. Most ancient cultures associate the idea of the bull with power, an icon expressing the values shared by the Ursus brand. Strength, perseverance and sacrifice are the prime ideals since our origin in 1967, when Sergio Ferronato and his brother Domenico first began to produce steel quick release for the saddle. In the 60’s, during Italians economic boom years, there was the world famous song VOLARE sung by Modungo on the radio and the various greek-roman heros were depicted in the cinema, including Hercules, Samson, Maciste along with Ursus, instead of today’s heros Batman, Spiderman or Superman. 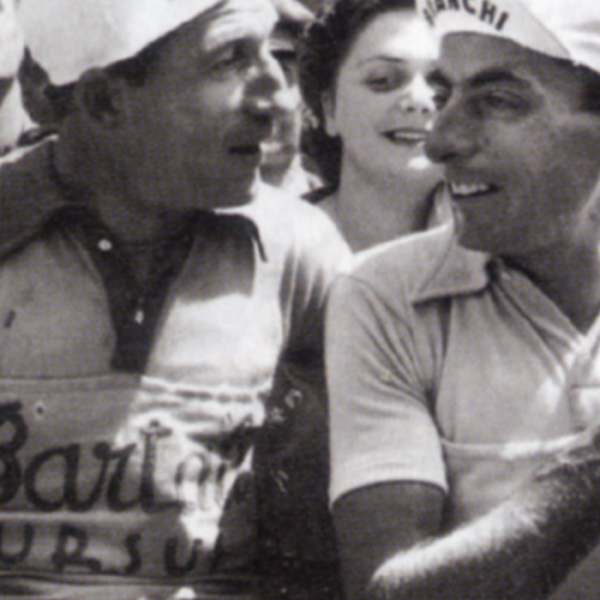 In the wake of Italians great cyclists Coppi and Bartali, the Ursus company chose its name and identity. Its logo, depicting the gladiator, Ursus grabbing a bull by the horns was chosen for evoking the values of strength, perseverance and sacrifice. But trade-marking the brand became a bureaucratic obstacle: the name was already used by a historical company in Vigevano (Milan). However, the determination and ruthlessness of the founders was to accept the adding of an additional “S” at the end just so they could use the name. December 2, 1967 the official date of the foundation “URSUSS”, now a reality with over forty years in the making and continuing to develop and grow. After the closing of the Milan company in 1990 URSUSS acquired the rights to the name “URSUS” and have been using it officially since 1996.